A funny thing happened when some researchers set out to test the toxicity of c-60 Fullerene on rats. Not only did the nanoparticles not hurt the little creatures, they actually increased their lifespan by up to 90%. Buckyballs are nanoparticles. They aren't exactly nanotechnology, which we'll define here as the technology of precisely manipulating matter at the molecular level. 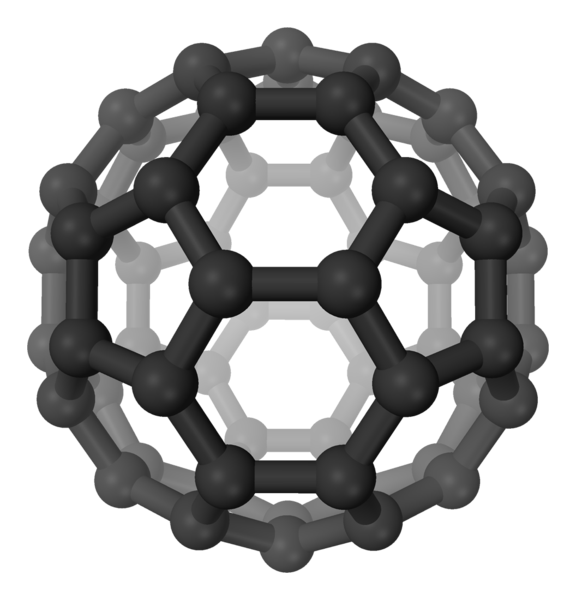 Buckyballs are more like one of the building blocks that will make true nanotechnology possible. But for the sake of argument let's fit them under a broad umbrella of nanotechnology. Well, there's certainly nothing novel in the suggestion that nanotechnology will one day play a large role in improving health and extending life -- people have been saying that for years -- but I don't think anybody expected eating buckyballs to be the first step. I'm trying to put this in context; I'm trying to come up with an analogy that sounds as ridiculous as eating buckyballs, and I'm pretty well stumped. It's like they finally invent the flying car and we have to flap our arms. It's like they award the Methuselah Mouse Prize to some mouse that does really amazing research. It's like we finally get human-level intelligence robots, but they all look like Muppets. Anyway, strangeness of the basic idea aside, it seems that having these molecular soccer balls in their systems protected the rats from oxidative stress. If so, this 90% improvement in lifespan gives us a good idea as to exactly how destructive oxidative stress can be. Is this form of stress as harmful to humans as rats? Would correcting the problem give us a 90% boost in lifespan? And will buckyballs do it for us? These are all good questions. This research has to be looked at very carefully, so the answers will be a while in coming. Stay tuned. The GRG group is doing an excellent forensic analysis of the paper and are finding many red flags that require explanation. Color me skeptical for now.